Improvisation is often considered to be acting spontaneously or with imagination. 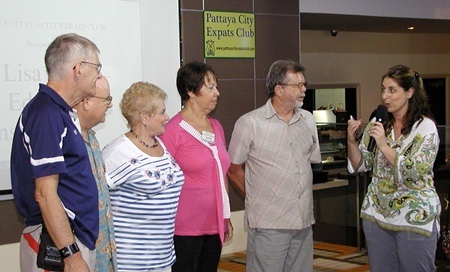 It also can be fun as members and guests learned at the Pattaya City Expats Club meeting on Sunday, June 5, at the Amari’s Tavern by the Sea restaurant. Lisa Safran from Improve Consultants, a San Francisco based company, while visiting friends in Pattaya brought her charming self and expertise to demonstrate how improvisation can be used to promote communication, active listening, creativity, and building trust. New to the microphone is member Pat Koester, to run the Open Forum of the PCEC meeting. In the Open Forum you may find solutions to the many questions that arise when living in the ‘Land of Smiles’. After the usual opening announcements, Master of Ceremonies Richard Silverberg introduced Lisa, a former Pattaya expat. Lisa’s presentation, “Improvising Life,” involved a fun and interactive experience for everyone. After many years as a classroom teacher and many more years as a performer, Lisa has combined these two areas of expertise into engaging workshops that she presents around the globe. She also recently authored the book, Reading and Writing Come Alive: Using Improvisation to Build Literacy. Lisa started by mentioning that she was on Krabi in 2004 when the Tsunami hit. 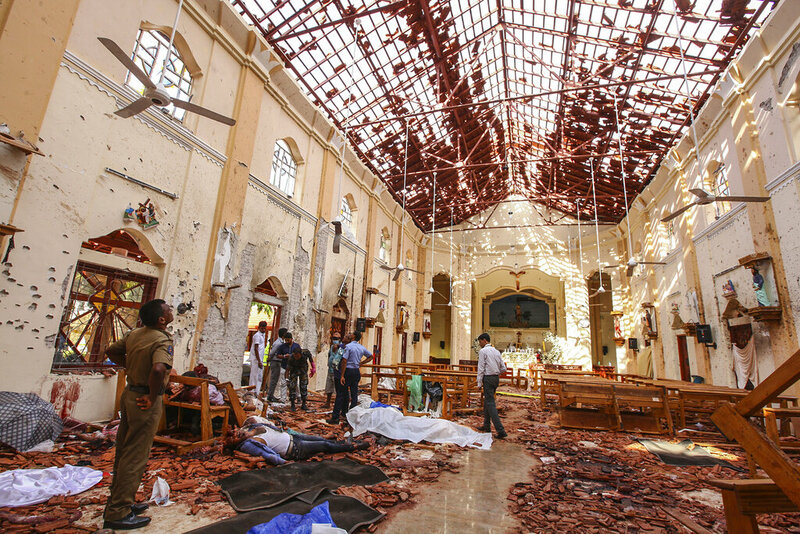 Fortunately, she was not injured, but came to the realization that there were things she wanted to do in her life, such as do more with her music, write a play, and live overseas. She said that she has since substantially achieved those goals. 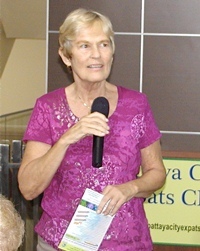 In 2005 she lived in Thailand, teaching at a local international school where the children were from all over the world. It was there that she started using improvisation to aid in the learning process. By introducing some games she inspired the children to get to know one another and to become involved. 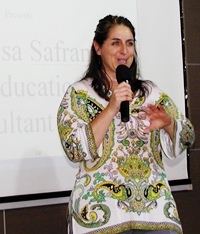 Lisa Safran from Improve Consultants, a San Francisco based company, demonstrates to Pattaya City Expats members and guests how improvisation can be used to promote communication, active listening, creativity, and building trust. Since then, she has gone on to form her own company, Improvisation Consultants, which uses improvisation workshops for corporations and organizations to help their employees get to know each other better, which leads to better understanding and communication. Too often in the business world, people may work close together, but are often isolated in their little cubicle and really don’t interact that much. By introducing some “games” that all join in doing and involve improvisation, it builds better communication, understanding, and mutual appreciation. Without further ado, Linda invited everyone to join in some games, not to be shy, and assured them they would find it a fun experience. She started by asking everyone to get up and just walk around, then she would call out a number and they should form groups of that number and identify themselves using an adjective such as lovely Lisa. This process was repeated with Lisa calling out a different number for new groups to form and share what was their favorite thing about living in Pattaya. This was followed by more interactive games involving various numbers of participants. Lisa pointed out that these types of game are a good warm up by meeting new people. These warm up exercises were followed by several more such as pairing up and one person telling the other about their entire life in 60 seconds then having the other person repeat it back to them in 30 seconds; a great way to improve communication and listening skills. Lisa instructs some brave volunteers in the techniques of improvisation for enhancing creativity and literacy. Richard Silverberg then updated everyone on upcoming events and called on Pat Koester to conduct the always informative and often humorous Open Forum where everyone has an opportunity to ask and answer questions, recommend a good restaurant or movie, or sometimes tell a joke.